Military leaders from around the globe pondered this month what a war that spreads beyond Earth's atmosphere might be like, with mock battles run by Air Force Space Command in Colorado Springs. And that terrifying future, at least in the games, is just a decade away as America's rivals ramp up their efforts to counter our military advantages in orbit. Leaders say the exercise showed that war in space is something best avoided. "Actual conflict in space is not a winner for anyone," explained Lt. Col. Jason Gross, the game's deputy director. While the military is mainly worried about its satellites, commercial birds could figure in enemy attack plans. Taking out satellite television or jamming phone calls could frustrate American aims. The war games come as Congress argues whether America needs a separate military service for space and as tensions rise with North Korea, which is developing capabilities to challenge America's space dominance. It was also the first major test of Space Command's new war plans, called the "Space Warfighting Construct." A big part of the exercise focused on preventing war from reaching orbit. "In order to deter and de-escalate events, we have to work together across all government agencies and our coalition partners," Gross said. "It was really exciting to see what a difference that made." The military has feared warfare that targets satellites since the 1980s, when the Russians rolled out a new missile designed for that task. But the risk of war in space has grown considerably, with nations from Iran and China to North Korea and India now possessing or developing anti-satellite weapons. "It's got to be uppermost in their minds," said retired Air Force Maj. Gen. Wes Clark, who was one of the founding fathers of space command in the 1980s. "That would be a terrible problem to deal with." While a 1967 treaty signed by 130 nations aimed at preventing the use of space for war, it only forbids placing nuclear and chemical weapons in orbit. The ensuing decades have seen unarmed satellites becoming powerful weapons when they are used for combat below. The average American soldier overseas would have a hard time winning a battle without satellites. The military relies on space for communications, navigation and intelligence. Drones are flown by satellite. Tanks rely on satellites to reach battlefields, and bombs use Global Positioning System signals to strike accurately. That reliance was first predicted in the 1980s, when the Air Force began to worry about threats to its satellites. "That was one of the driving factors that drove us to develop Air Force Space Command," Clark said. In 2017, the Air Force and Congress are reacting to threats again. Air Force Secretary Heather Wilson says she spends at least a third of her time on space issues and recently added a three-star general to her Pentagon staff to focus on space. Congress has battled since winter over how best to manage the military's satellites, with the House version of the National Defense Authorization Act including a provision that would create a "Space Corps" to handle missions above the sky. Colorado Springs U.S. Rep. Doug Lamborn, a backer of the new space service, says he can't predict what will happen to the plan after a conference committee is done with the military policy bill. But whatever happens, it will happen soon, he said. "It's actually going faster than it did last year," he said. "I think it's on a faster pace." The space service has few friends on the other side of the Potomac, with Pentagon chief James Mattis writing a letter to Congress that said the proposal would add bureaucracy, causing more problems than it would fix. 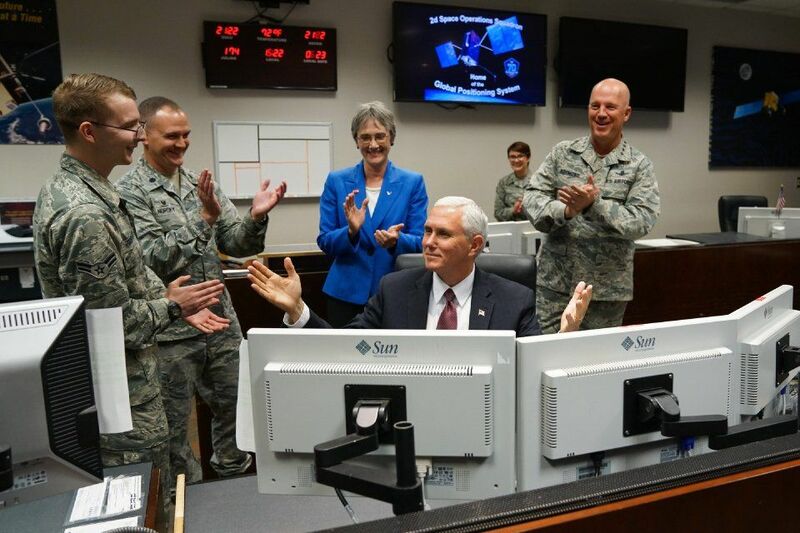 Space Command is now a branch of the Air Force. Mattis said the Pentagon wants to focus on cutting bureaucracy and integrating the services in battle. Gross said the war games showed the value of all elements of American power working in harmony. "Every piece has to work together," he said. Details of the game, held at Nellis Air Force Base in the Nevada desert, are classified. The Air Force said it focused on a threat in the area controlled by Pacific Command, which includes Asia's most powerful nations. The game's players came from across the military and included leaders from federal agencies, including the departments of State, Commerce and Homeland Security. Also included were American allies Canada, Australia, the United Kingdom and New Zealand. The enemy was "notional" - a fictional creation that simulated American rivals without branding them as China, Russia or North Korea. "The scenario also included full-spectrum threats across diverse operating environments that challenged civilian and military leaders, planners and space system operators, as well as the capabilities they employ," Space Command said. "Full spectrum" in military speak, means air, sea and land-based threats were accompanied by more modern concerns like hacking and anti-satellite threats. And you don't have to detonate a satellite to take it out. Jamming their signals from space can throw the military on the ground for a loop. The focus on satellites allowed leaders to test Space Command's new war plans. Developing plans to defend satellites has been a two-year effort carried out at Schriever Air Force Base. Inside the National Space Defense Center, Space Command experts have worked with their intelligence agency counterparts in war games to "detect, warn, characterize, attribute and defend against threats to space systems." The Nevada war game brought those plans to leaders for a test. At that level, the mock battle is less about launching missiles and pulling triggers and more about mapping out the big picture, Gross said. "It is working through policies, procedures and coordination," he said. The war game ran for a week. A classified report on the results is being prepared. No public release on what happened is anticipated. Gross said a key lesson leaders learned was the value of deterrence to prevent war from reaching space. The consequences of anti-satellite attacks have been escalating since a 2007 Chinese anti-satellite test created the largest field of space debris recorded, by blasting one of its aging satellites into more than 2,000 pieces. America, too, owns weapons capable of targeting satellites. This was proven in 2008, when a Navy ship used an anti-ballistic missile interceptor to destroy a nonfunctioning National Reconnaissance Office satellite before it re-entered Earth's atmosphere. The Pentagon at the time said the action, dubbed "Operation Burnt Frost," was necessary to destroy toxic rocket fuel aboard the satellite, rather than a reaction to the earlier Chinese anti-satellite test. Clark explained that the physics of anti-satellite attacks could give the planet Saturn-like rings of orbiting junk. Satellites are easy to destroy, you just send an interceptor into opposite orbit and crash into the target. Explosives are necessary because of the velocity of the interceptor. It's like a head-on highway crash, but the vehicles are traveling at 5 miles per second. Truck-sized satellites turn to a dangerous glitter in such an attack - with pieces of metal flying at 17,000 mph that can wreck anything that flies into the vast cloud of debris. "There's nothing subtle about it," he said. The debris of a full-on space war could leave the orbits above Earth unusable for generations, Clark said. "I don't know where the madman is who is going to start all this stuff, but it will make a heck of mess," he said.